In the early 1700s, English author Daniel Defoe complained that "Queen Mary introduced the custom...of furnishing houses with Chinaware...piling the China upon the Tops of Cabinets, Scritoires, and every Chymney Piece." The greater availability of Chinese and Japanese porcelain from the mid-1600s onward increased interest in this exotic material. 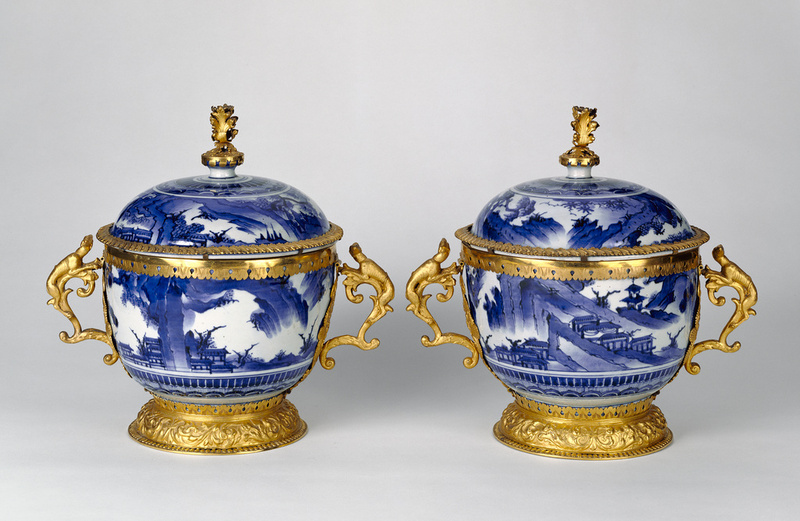 Nobles throughout Europe collected porcelain and created "China cabinets." In such rooms, walls were completely decorated with ceramics that were displayed on brackets, mantelpieces, shelves, and sometimes even on the floor. Although some members of the British aristocracy collected mounted porcelain, they did not assemble the same quantities as the French did. In 1678 one English duchess took her collection of porcelain to France, where it fetched much higher prices at a sale. 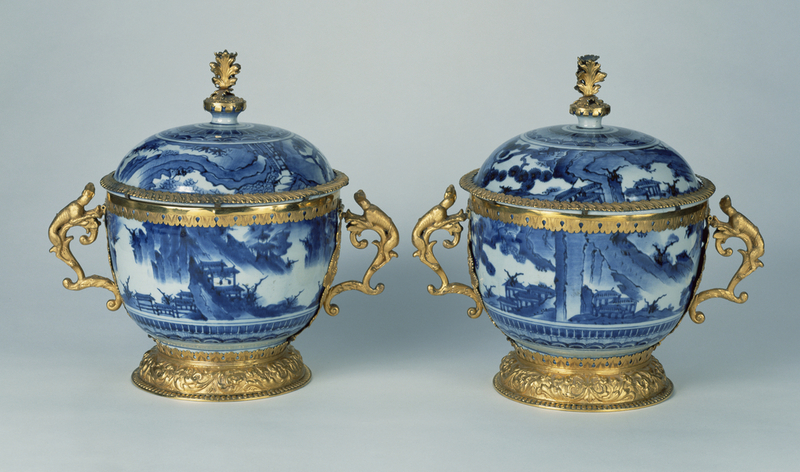 This pair of lidded bowls was assembled in London, perhaps for a sophisticated member of the court of Charles II. Recently returned from France, he had developed a taste for these luxurious objects there.